In today’s hectic world of balancing demanding work schedules, kids, and other obligations, it is very difficult to designate time for our health. I am excited to introduce you to personalized, quality health services, where you are treated like royalty, and cared for like family. I have dreamed of being a doctor for as long as I can remember. I have a passion for helping where I can, and a genuine love for people. It was inevitable for my path to lead me into Family Medicine, and my goal is to keep your entire family living well. From my wife Tina and our boys Lennox & Linus, we welcome you as a part of our extended family. 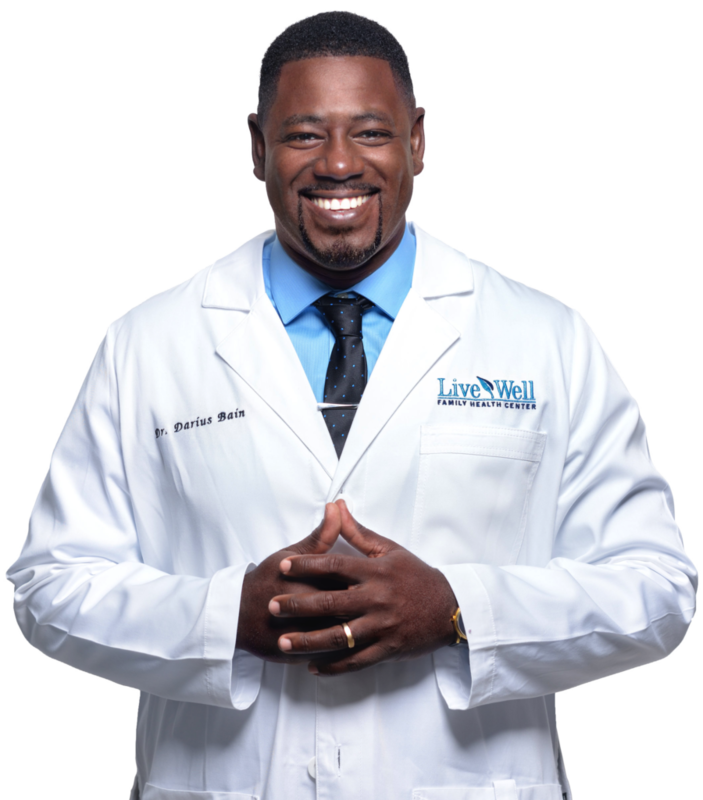 Welcome to Live Well Family Health Center.